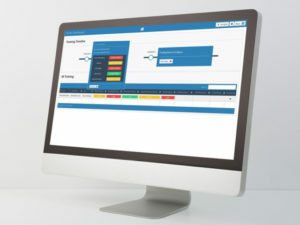 E-Training World has launched a major upgrade to its online driver profiling and e-driver training system, said to bring a huge leap forward in online assessment and training. Auto Risk includes a new driver dashboard as part of a major new upgrade. The product of more than 18 months’ development, the latest Auto Risk solution brings a new driver dashboard, an ‘at-a-glance’ training timeline and the option to allocate online training automatically based upon a driver’s high, medium or low risk rating. Auto Risk – which is used as a white-label solution by insurance companies, contract hire and fleet management specialists, rental providers and other driver training companies – can also be widely adapted to meet company needs. This includes adding bespoke profiling questions, creating custom-built client modules, adding company divisions and teams, and being able to add a company’s chosen on-road training provider. There is also the ability to add essential documents for drivers to read, and to confirm they have read.